Colorado Peak Politics | BILL CLINTON ON THE PROWL: Will Bennet Appear With Controversial Former President? BILL CLINTON ON THE PROWL: Will Bennet Appear With Controversial Former President? With Bill Clinton barnstorming the Front Range during the final days of the 2016 race, and a massive Colorado ad by for Hillary Clinton, it looks like Colorado is shaping up to be a much tougher fight than Clinton, Bennet, and the other Democrats had hoped. On Friday morning, the former president will make a campaign stop in Pueblo, followed by afternoon engagements in Denver and Ft. Collins. 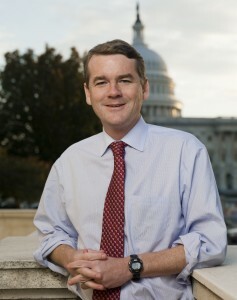 It will be interesting to see if Michael Bennet is willing to campaign along side him – given both the recent headwinds that Hillary has faced in her campaign, and the decades-old minefield of scandal that defines Bill. With Darryl Glenn in striking distance, Bennet has some decisions to make about who he wants to stand with, the Clinton machine or Colorado families. Hint: He’s never really been on the side of Colorado families. Will Bennet appear with Clinton, Inc.? Will any media outlets ask these tough questions? It was just two years ago that then-Senator Mark Udall opted out of a fundraiser that President Obama headlined on Udall’s behalf during the summer of Udall’s ill fated re-election bid. Almost comically, Udall tried to explain his absence as not a political calculation, but, really, who has more pressing issues when a sitting president is going to host a fundraiser for you? Will Bennet stand beside the Clinton campaign as it continues to get pummeled on legal and ethical matters that we have not seen brought against a major party presidential candidate in our lifetime? Does Bennet support Clinton’s handling of her illegal private server and association with the Weiners? Does he support the culture of graft and pay-to-play that she fostered at the State Department? Is Bennet going to disavow Clinton’s scandal-ridden campaign, or approve of her conduct? As thousands of ballots are being turned every day now, Coloradans deserve to know what Bennet will do with this Clinton matter tomorrow. But we think we already know.